Where are you resisting your genius? How is resistance showing up in your life and in your business? Where is it that you are denying how absolutely freaking incredible you truly are? How many more nights will you lay awake hoping, dreaming, praying that somehow, some way things will just "work out"? Haven't you had enough of the constant sacrificing of your dreams? Haven't you had enough of keeping your vision unrealized within you? Haven't you had enough of not being the leader that you were born to be? When we meet resistance, this is how it shows up. This subtly. It's not the in-your-face obvious stuff that derails us. It's the friend who absolutely needs us right as we're sitting down to wax poetically and share our message. It's the bowl of Cherry Garcia calling our name when we told ourselves that we were going to dedicate that 60 minutes to a yoga practice. It's the self-doubt about branding/pricing/sound bites (seriously?!) that settles in just as we are about to speak with a potential soulmate client. This is the sticky icky annoyance that perks its head above ground just as we are about to take action on our mission. Just as we are about to crest that hill towards greatness. Recognition is key. Knowing that resistance likes to drop in unannounced (like a long-lost, eight times removed relative right after you've hit the state lotto) is how we are able to move past it. Through it. Begin to see how resistance is showing up for you. In your health. Your focus. Your actions. Move on. Move through. Just MOVE. 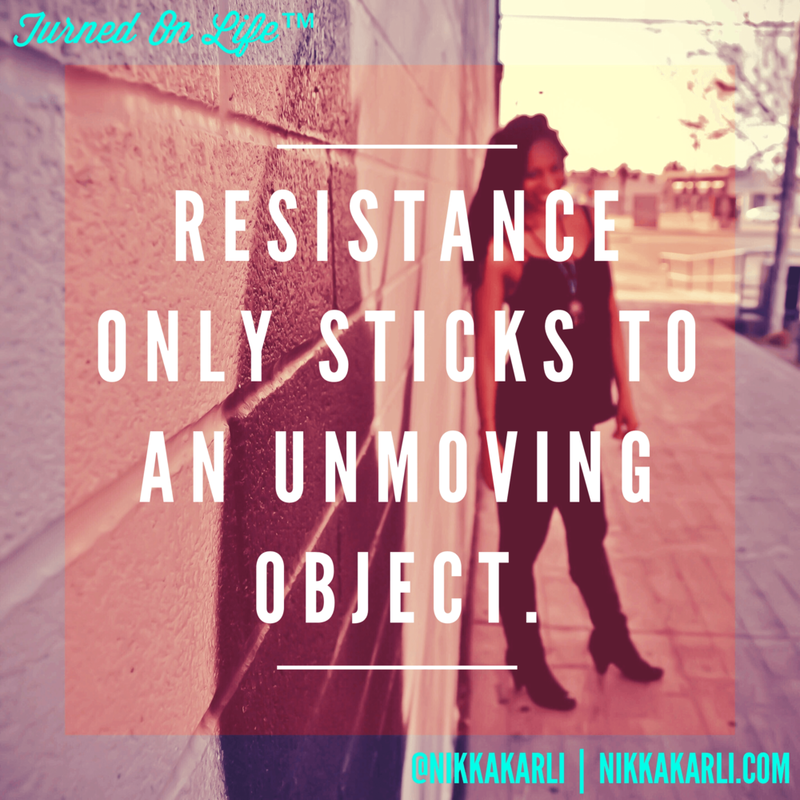 Resistance only sticks to an unmoving object. Are You Willing to Bleed for Your Dreams?